Are you considering purchasing pre-owned dental equipment instead for your surgery refurbishment? Dental Chair costs particularly if you are looking at a new package, can seem steep. On occasion with Dental chairs and equipment, die! Without any warning, you are left in a position of having to replace equipment quickly. Pre-owned dental chairs can provide a solution. Purchasing a used dental chair can be a good a variety of situations; maybe if you are looking to set up a new practice and your budget is tight or maybe are looking toward retirement and don’t want to part with a large sum of money at this time. 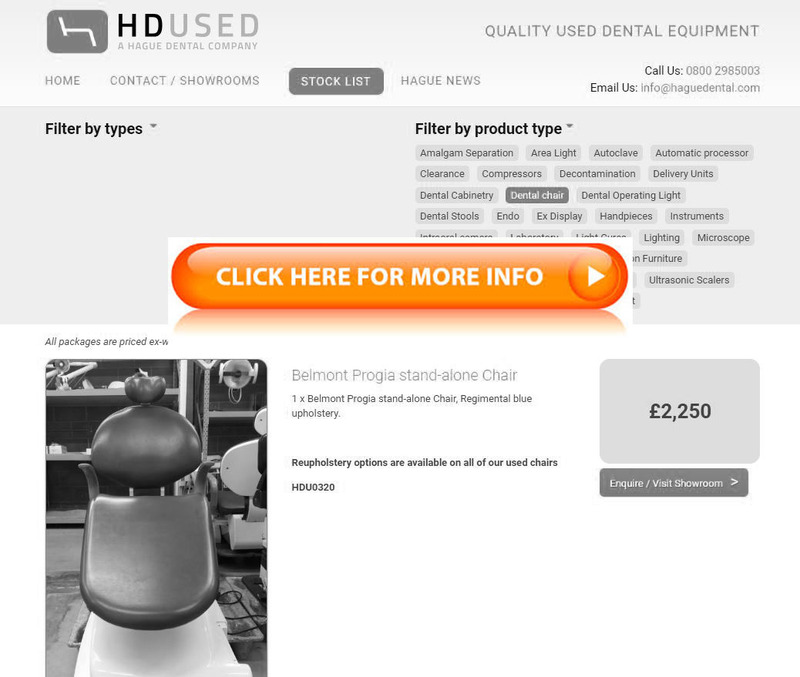 Hague Dental Supplies are all about dental equipment solutions and we have the UK’s largest stock lists of pre-owned equipment including dental chair packages, suction pumps, compressors, operating lights, cabinetry, x-ray equipment and more. Purchasing used equipment from Hague can be a wise choice too, as we offer an ‘upgrade’ service. Buy used chair package from our team and we will offer to buy it back from you at a later date when you are considering replacing with new. Hague Dental is a team of highly experienced dental engineers who only supply equipment they know and trust. Most of our stock comes into us and part exchange and in the case of dental chairs we only supply known brands A-dec and Belmont, which are known for reliability and longevity. Why not ask our team to send you a comparative quote for new and used equipment and discuss options including finance. We encourage you to visit our showrooms near Gatwick to view equipment. Here you can see new and used equipment under one roof. You might even consider mixing and matching new and used items.